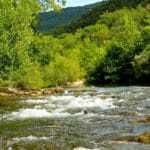 Take the A75 motorway (for free) from Pézenas or Béziers and drive in the direction of Lodève/Millau. At the junction, take the A750/E11 towards Montpellier, then the exit n° 59 towards Gignac. At the roundabout, take the first exit to Gignac – center. Cross the village and follow the signs to Aniane. 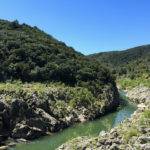 After having crossed Aniane, follow the signs to Saint Guilhem le Désert for 7km approximately. Our canoe rental shop is located at the entrance of the village of Saint Guilhem le Désert on your left, and you can park for free in our private parking lot, on your right (tell the attendant that you are customers at "Canoë Kayapuna”). Take the A750 motorway (for free) towards Millau/Lodève for 15km. Take the exit n°60 towards Gignac/Aniane/Saint Guilhem le Désert. Cross the village of Gignac and follow the signs to Aniane. 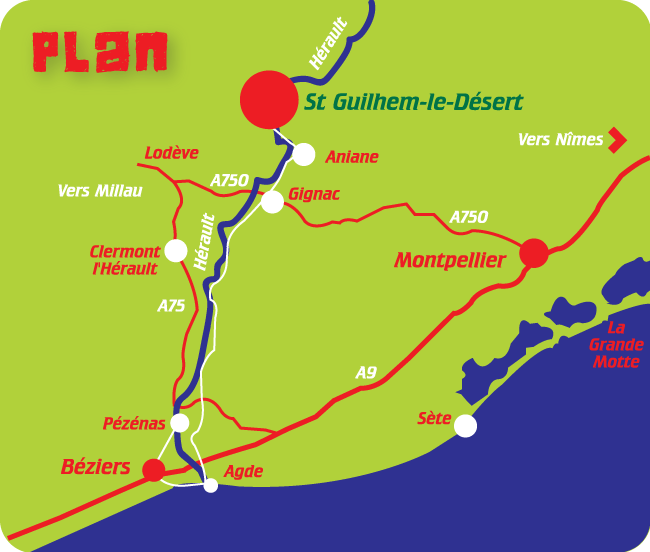 After having crossed Aniane, follow the signs to Saint Guilhem le Désert for 7km approximately. 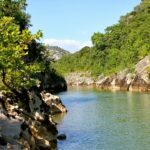 Our canoe rental shop is located at the entrance of the village of Saint Guilhem le Désert on your left, and you can park for free in our private parking lot, on your right (tell the attendant that you are customers at "Canoë Kayapuna”). The bus line number 308 is linking St Guilhem and Montpellier. 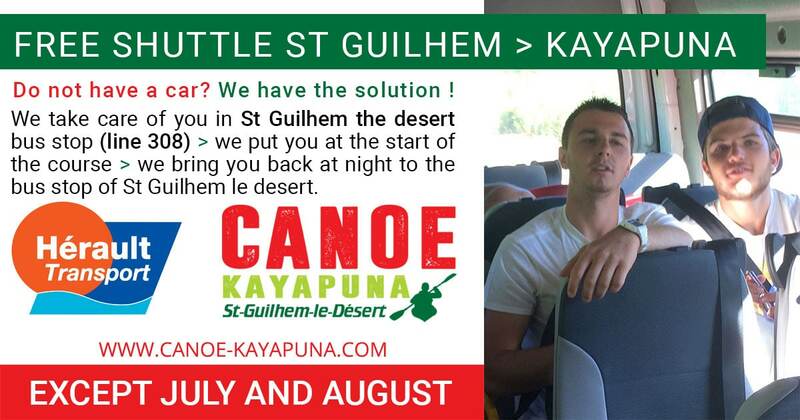 We can pick you up for free at St Guilhem and we drive you to the start of the trail. We also bring you back at the end of the day at St Guilhem. You don't find your answer ?